What will happen if you put in one room the recognized master of game design, Hideo Kojima and the creators of Bayonetta, one of the best slashers of modern times? It turns out something truly ambitious - Metal Gear Rising: Revengeance. For the first time in history, the Metal Gear Solid series introduced a new game from its universe, not about Stealth and Snake's adventures, while retaining all the key features and atmosphere of the original series. 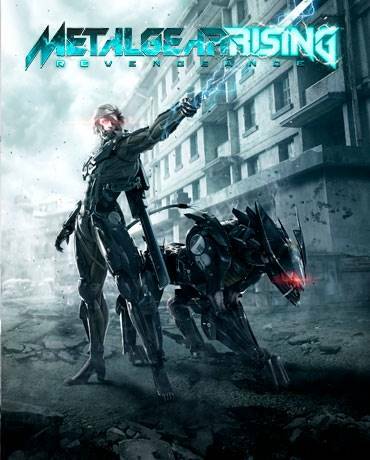 Deciding to buy Metal Gear Rising: Revengeance in our store, in your hands will be undoubtedly a great slasher with drive battles, a memorable protagonist, an intriguing storyline with political conflicts and groovy music. You play as a cyber-ninja Raiden, half-man and polukiborga. The main character is equipped with high-tech equipment and mechanical katana, able to cut even small metal enemies into small pieces. The gameplay of Metal Gear Rising: Revengeance is a dynamic slasher with a large variation of combo attacks and incredible attacks. For successful combos you will get adrenaline points, thanks to which you can slow down time and choose at what angles you want to dismember your opponents, be they giant robots or ordinary soldiers. The plot of the game was created under the strict control of Hideo Kojima, and the story is really interesting to watch. But special attention should be paid to the elegant music, written by talented rock artists, which adds an unforgettable drive to the game. Also, the PC version of Metal Gear Rising: Revengeance includes all the additional content created by developers for all time. You will receive new costumes, upgrades, advanced graphic settings and exclusive plot tasks.